The antiques challenge comes from Shrewsbury. Tim Wonnacott visits Nunnington Hall in North Yorkshire to see how precious objects can suffer in sunlight. The antiques challenge comes from Shrewsbury, where one student in red is helped by her gran and expert Colin Young, while a student in blue has his mum behind him and expert David Harper alongside. 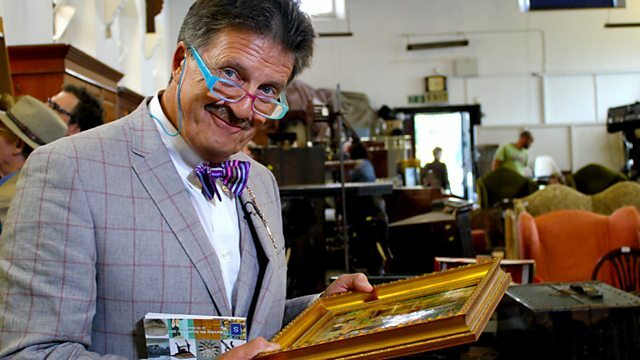 Tim Wonnacott pops up to Nunnington Hall in North Yorkshire to see how precious objects can suffer from sunlight.